Everyone makes mistakes, and sometimes an act of carelessness can result in inconveniences, such as forget-ting to put the lid on a cooler and letting the ice keeping the drinks cool melt. But other times, negligent mo-ments can lead to injury, and sometimes even death. 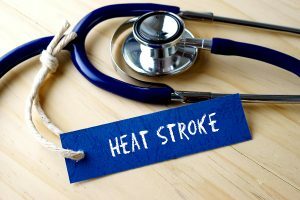 Heatstroke is not something that is normally associated with an act of carelessness, but in Florida, that is very much the case. When we talk about heatstroke in cars, all it takes is a little inattentiveness with a child, in a car, on a hot summer’s day, and tragedy can occur. Heatstroke related death can and does happen in the United States, and unfortunately happens to a high degree in Florida. Between 1998 and 2015, the state of Florida alone recorded 72 deaths caused by heatstroke. That makes it the second highest death rate in the country, with only Texas beating Florida out with 100 deaths. Sadly, in most cases of heatstroke death, the victims were children. There are plenty of reasons why this is the case. The biggest issue with children and heatstroke is that, because of their smaller size, they are simply more vul-nerable. Children heat up faster than adults, and even temperatures as low as 57 degrees outside can still cause heatstroke in a child, if the child is in the “right” environment. In this instance, the right environment is that most common of all modern hardware, the automobile. Leaving a child unattended in a car can have catastrophic consequences if the weather is warm. Statistically speaking, children are most at risk of heatstroke related deaths between the months of April and September, depending on the state. July is, on average, the month that is normally considered the highest risk period for children, since this is often the peak summer month, and that’s definitely the case here in Florida when it comes to temperatures. Compared to adults, a child’s body temperature rises 3-5 times faster, and when it comes to cars, the tempera-ture in a car can rise by as much as 20 degrees in a 10 minute period. Even faster, if conditions are extremely hot, and even precautions like leaving the window slightly open do little to alleviate the heat. Because of the awareness of the danger to vulnerable children, Florida is one of the states that has laws in place to protect children from this type of negligence. Under ordinary circumstances, a child cannot be left alone and unattended in a stopped vehicle for more than 15 minutes. If the vehicle is still active and running, a child cannot be left alone at all. The same applies if it’s clear that the child is already at risk medically. It doesn’t take much to make such a mistake. Some parents, very busy and trying to stick to a routine, may make mistakes during their rush. A father in Tennessee, in May of this year, inadvertently killed his one year old, adopted daughter when, in his rush to get to the airport for a business trip, he forgot to drop his daughter off at daycare, and left her in the family vehicle, while he took a rideshare option to the airport. The child was found later, and announced dead on arrival at the hospital. She had died in the car thanks to the heat of the day. There are also laws in Florida in place for members of the public that wish to act if they see a child in danger. Under ordinary circumstances, attempting to help an adult in an accident can, if the helpful act causes injury, result in the rescuer being liable for a lawsuit. In the case of children however, the public is protected by a “good Samaritan law” that prevents a lawsuit if a concerned adult breaks into a car in order to rescue a child in danger of heatstroke related illness or even death. If your child has been injured, or taken ill because someone thought it would be safe to leave him or her in a car during a hot summer’s day, that is negligence, and can go to court for personal injury or even wrongful death. Make sure you get the right attorney to help you during this difficult time.